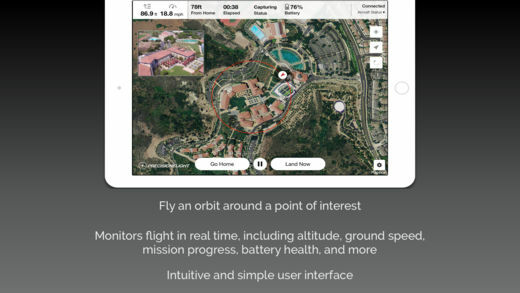 PrecisionFlight 2.0 is available for download! Orbit Missions: In just a couple steps, collect data to generate high-quality 3D models of tall structures, like buildings or towers. Thermal (Zenmuse XT) Support: Use thermal sensing in a broad range of applications, such as finding hot spots in solar arrays, locating leaks in roofs, or assessing plant health. Capture thermal imagery at a resolution that ensures accurate stitching and data outcomes. Advanced Camera and Mission Settings: Take full control of your aircraft and camera. Use optimized camera presets to capture high-quality data in a variety conditions. Redesigned UI: Get instant feedback on how your inputs impact flights and data collection. Import KML Files: Predefine your areas of interest, upload them, and fly. Simplify the planning and execution of drone flights today by downloading PrecisionFlight 2.0. P.S. To all the PrecisionFlight users who shared their feedback: thank you! We couldn’t pioneer drone-based data collection without your support.